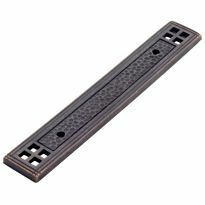 Secure your newell post, hand rail, and balusters to your stairs and floor like they're set in cement! Trim parts available in Oak and Maple. 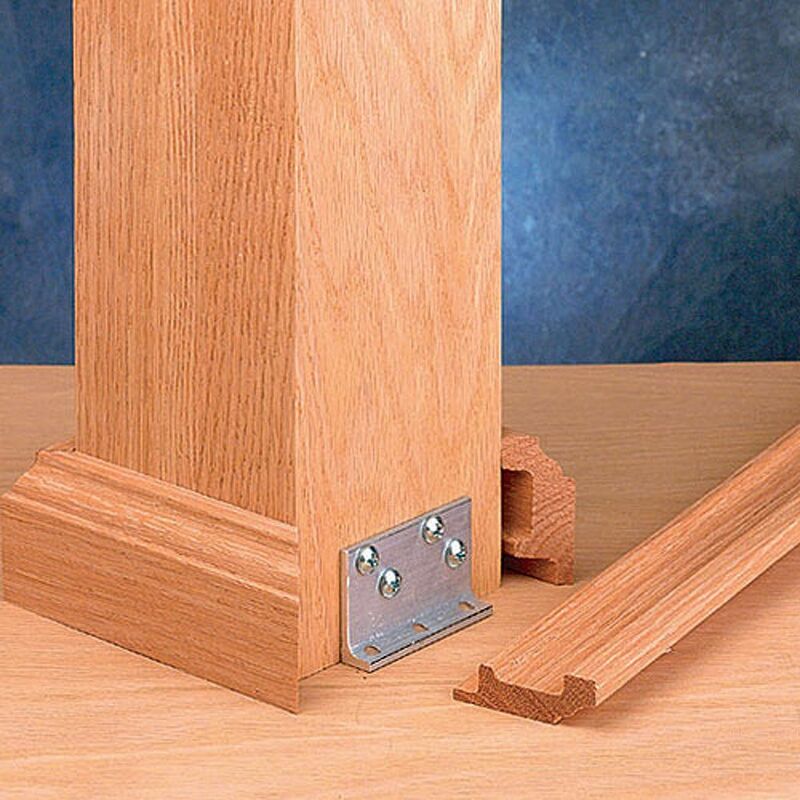 L-Brackets Newel Kit for Stair Posts-- WOW! movement . WOW! i didn't need the 2nd set! WOW! these are so good i'd call them rock-ler solid! did i say WOW! its a excellent KISS method. i've used everywhere else. i simply just cut the back out a bit. We are replacing an old metal railing in our cabin with wood posts and sawn balusters. The sort of project where you figure it out as you go along. 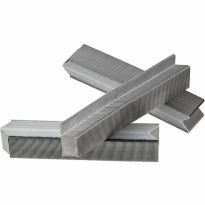 We secured the five posts with U shaped brackets. It was all lined up and square... and really jiggly. We were excited to find these, with so many great reviews. My husband took the whole thing apart today and rebuilt it with these new brackets. It’s solid! I wish we had them from the start! They worked perfect to secure my wobbly stair railings! All good. Promote that item it works. Just what I needed to get this stagnant project back up and running! Perfect fit for 4 in. newel post. 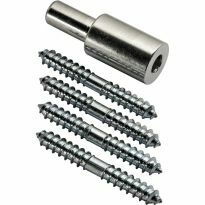 I have used this system before and find that it is simple to use and improves the stability and security of the post without using an overwhelming amount of nails and screws. Clean and professional look. 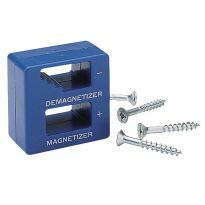 Be carefully when purchasing in the big box stores or on line, I have found other makes that use a stamped metal bracket instead of the solid aluminum bracket that comes in this kit. Good fix to the wobbly problem. Works great as long as you can drill straight down to secure the bracket. I use these on every 3" or 3 1/2" oak post that I mount. They are quick and very strong. Bracket kit is good except for the screws. 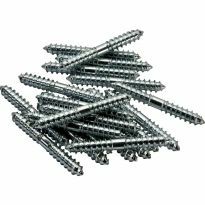 I replaced the supplied screws. Bracket is quite sturdy and holds newel post solidly, much better than I expected. The photos helped me decide this is what I needed for my project. It is for a 3 1/2" post & that is what I needed. Heard from my contractor that this attachment method is very strong. seems to fit my needs and from the reviews I believe this is what I need. size Home Depot does not carry a 3.5 inch. Only a 3 inch and a 5 inch. Fast and strong mounts for stair posts. to support my newel posts! Doing a remodel to floor and broke the wood trim on previous ones. The sizing listed should be compatible with a 4x4 deck post used for an indoor job. Most of these at the "big box stores" fit either 3 or 5 inch, so these should be a perfect fit. I needed to brace a loose newel post and I used this kit as part of the strategy to brace the post. I was very pleased with how it turned out both aesthetically and functionally. I had good response from my installer when he used them before. What are the actual dimensions of the metal bracket? BEST ANSWER: The metal brackets are about 1"x3" or 31/2" I don't remember exactly what size we bought but they worked nicely. You get the size to fit your newel post. do you carry the 5" kits? do you carry 4" newal post kits? 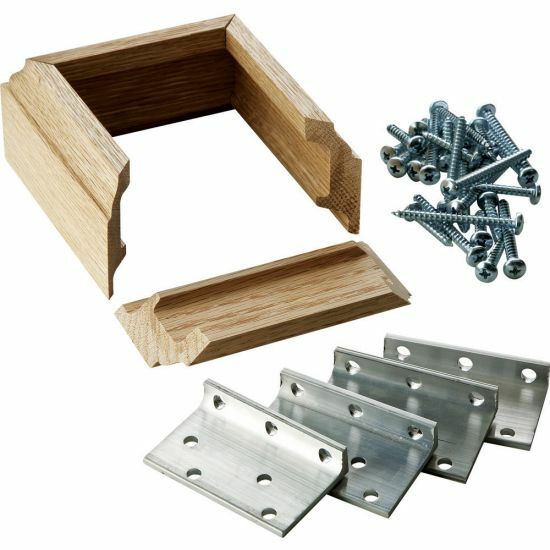 can i purchase the metal brackets only?I would need 8 kits. I have a 5.5" newel posts that I need to cover with trim like this. Is the trim already cut or is it one long piece that you cut to whatever length you want even if I have to buy two to cover one post? Will this work on a 3" post? The description says 3 1/2 inches. BEST ANSWER: Not directly out of the box. 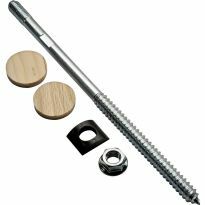 It is a perfect fit for a 3 1/2" post, but you would have to have the tools and the skill to cut the wood AND the metal anchor brackets down to the size required to fit a 3" post. The wooden molding would be relatively easy with a good miter saw, but I don't remember the brackets in detail, so cutting them down might be a bigger challenge. yes, but you will have to cut the molding to fit. 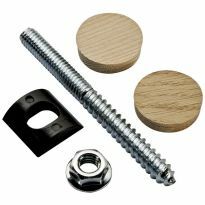 Do you still need to use a newel post fastener kit such as the sure-tite fastener kit? BEST ANSWER: I don’t think so. I think the brackets that come with this trim kit replaced the fastener kit. Thx but why use both? BEST ANSWER: Yes, I stained mine and it came out perfect. It stained exactly the same as the rest of the banister. Thanks so much for your help. I will purchase the items. do you sell the wood trim in a longer length that I could cut myself I have a larger newel post? The longest I've ever been able to purchase or find was to wrap a 4x4. BEST ANSWER: I bought this to sturdy the top post of my staircase. It worked fairly well. The trim covered it perfectly. Super easy to install if you bought the correct size and if you can drill straight down about an inch out around the post. Can you use it to fasten to brick? Can I just buy the trim for 3.5 inch inside newel post; without the brackets?